This is an excerpt from an article originally published in the Washington Informer. Read the rest here. When Afro-Cuban musician, composer and academic Yosvany Terry takes a stroll down memory lane, it is not nostalgia for the old Cuba that once was America’s Caribbean playground. It is much more ancient and culturally significant. This is his way down the ancestral path, researching, reconfiguring and recording the history of African people in Cuba, and by extension, his maternal lineage from Haiti. 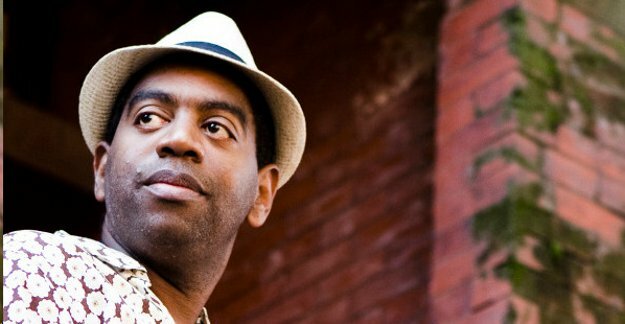 As a standard-bearer of Afro-Cuban cultural traditions, Terry has had to branch out on several projects to embrace the whole, including the jazz culture of his adopted home in New York City. ​Born into a musical family, Terry’s father Eladio “Don Pancho” Terry was a bandleader, violinist and master shekere player in his hometown of Camaguey, which has also produced other Cuban musical luminaries such as Omar Sosa. Schooled at the prestigious National School of Arts (ENA) and Amadeo Roldan Conservatory in Havana, Yosvany aspired to play the violin like his father, but was instead guided to the saxophone and continues his father’s unique playing style on the shekere. Both Yosvany and his brother, Yunior, have continued the musical legacy established by their father. “Ancestral Memories,” the recording and live music project he collaborated on with French pianist Baptiste Trotignon, is a musical meditation on the traditions that emerged from the French colonies in the Americas; New Orleans, Haiti, Guadeloupe and other French territories in the Americas. “This is a special opportunity to express my grandmother’s Haitian heritage with people who speak the same language,” Terry said. • The jazz ensemble Yosvany Terry Quintet, in which he collaborates with his brother Yunior on bass. • “Noches de Parrandas,” a musical suite where Terry melds symphonic orchestration with percussive instruments unique to the Cuban Parrandas, a festive community celebration of music in the town of Remedios during Christmas season. • Afro-Cuban Roots: Ye-dé-gbé (a word which means ‘with the approval of the spirits’ in the Fon language), which culminated in the 2014 recording “New Throned King” nominated for a Grammy for Best Latin Jazz album the following year. ​Closely related to “Ancestral Memories,” “New Throned King” brings together the Arará percussive rhythms and chants, originally from the ancient African kingdom of Dahomey and practiced in the central part of Cuba, with jazz. Those musical traditions are closely related to the Yoruba spiritual practices (Lucumi) more widespread in Cuba, and though both revere the same deities, they rarely come into contact with each other. “Ancestral Memories” featuring Yosvany Terry and Baptiste Trotignon, will play the 2018 DC Jazz Festival on Sunday, June 17 at the newly refurbished Wharf in southwest D.C. The free concert runs from noon on the District and Transit Piers, with “Ancestral Memories” playing at 3:50 p.m. Go to https://dcjazzfest.org for scheduling information.